For this particular project I didn’t write it down on my “to-do someday” list (read also: pin it for later and forget about it). Instead, I looked at the ingredients: castor oil, olive oil, and choice of essential oils. I didn’t have castor oil so I did a quick search for alternatives. Almond oil, which I already had, was one of them. 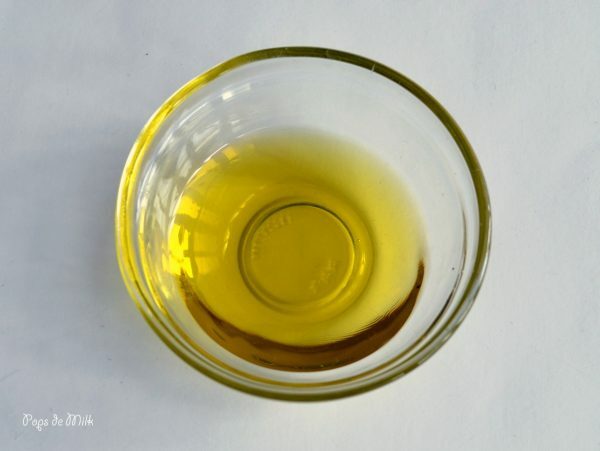 Basically you want a carrier oil that is safe on skin and is primarily used directly on skin. Of course I already had olive oil and for essential oils I decided on lavender and lemon. *Note: the only caution with using lemon oil is you shouldn’t apply and then immediately go out in direct sun (or tanning bed) because it will apparently burn your skin. I haven’t tried this, nor do I want to, so just be aware of this. 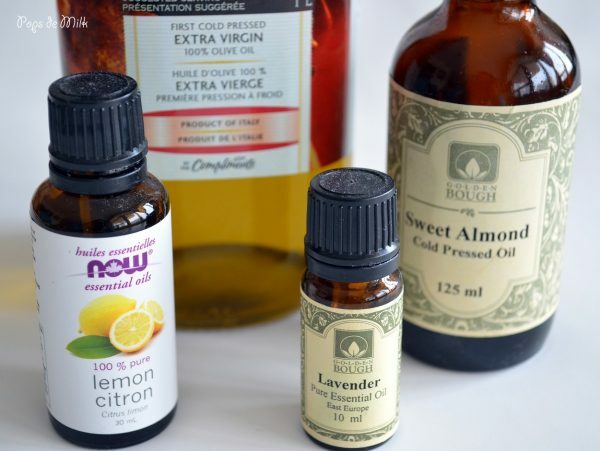 Of course, you can always use another essential oil, just make sure it’s safe to use on skin. 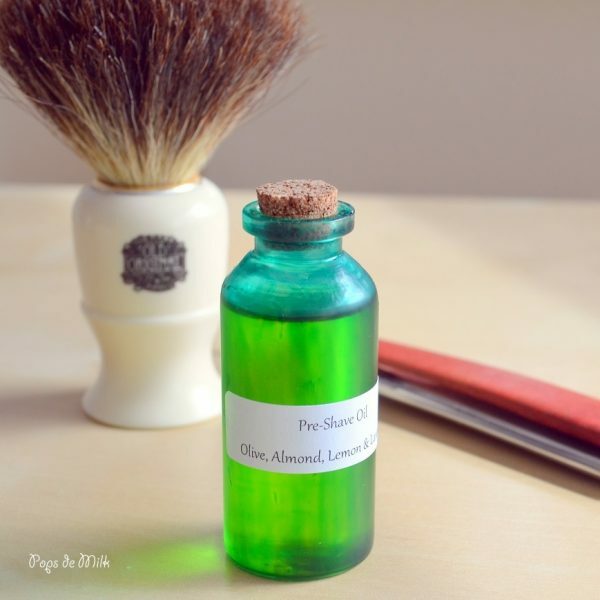 For my first attempt at making pre-shave oil, I went for a very small batch. Mix together and pour into small glass jar, preferably one made of dark coloured glass (to keep the oil out of direct light). 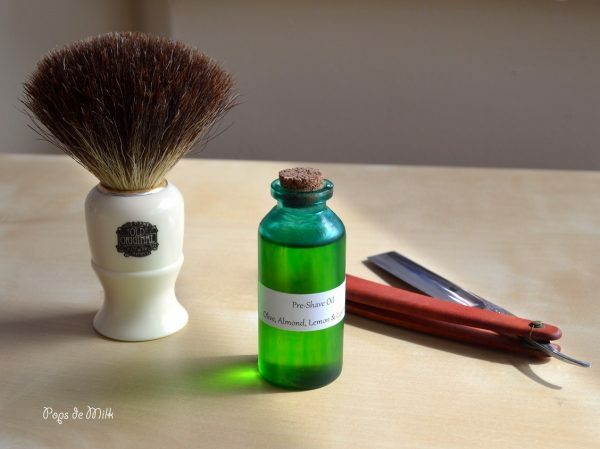 To use, rub a small amount of oil onto face (or legs), leave it on for about a minute and I like to rinse the oil off very briefly before lathering and shaving but you can skip the rinse and shave away. I decided to give it a try myself, on my legs of course, and they felt so smooth after. Once this batch is done I’ll definitely be making another larger batch.